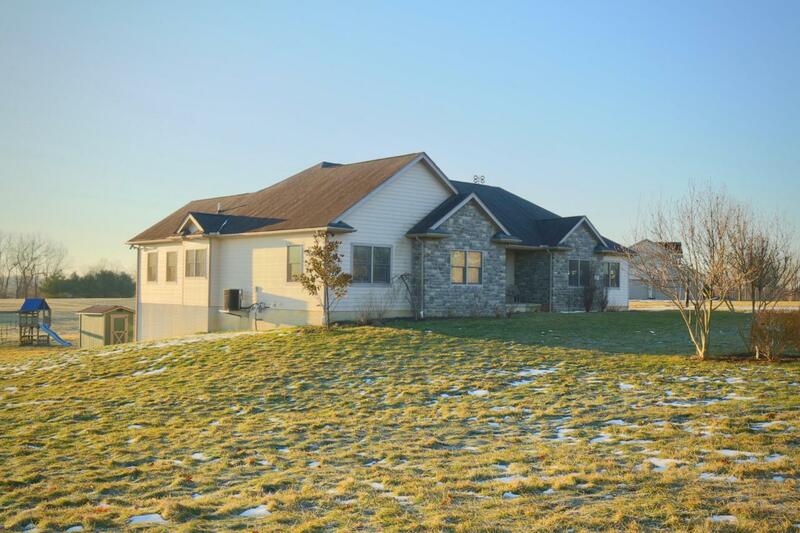 Beautiful custom-built (2006) ranch just north of Lancaster. Open floor plan with cathedral ceilings, huge owner's suite, large bedrooms, and first floor laundry. Versatile finished walkout basement with 4th bedroom, full bath, huge family room and more area to finish if desired. Refinished hardwood floors, NEW carpet in most areas, new backsplash, solid surface counters and much more. Fantastic location within the Fairfield Union school district...close to Lancaster and just off Coonpath Road for easy access to US 33.